My Toronado Collection Over the Years. 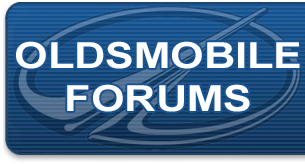 Oldsmobile Forum: My Toronado Collection Over the Years. New to the forms, figured I would I would introduce myself through my cars. If my username didn't give you a hint I sort of like 4th Gen Toronado Trofeo's. I know who you are. You know who I am also. I am an administrator here. Welcome ! Hey Toro_Trofeo! Thanks again for your video on changing the serpentine belt. When the time comes to change out a motor mount, let me know. I found a workable solution using a Caddy mount per Hammer489's suggestion. No problem! I'll be doing one next summer along with the subframe mounts on my 91 Toronado Trofeo! I live in Commerce Township. I used to own an '88 Trofeo and looking to get back into one. Do you have any leads on an 87, 88 or 89? Nice documentation on your cars. Really cool. When I end up with another Toro, maybe we can meet up. I do have one lead about one, its one facebook marketplace, but unfortunately my Facebook page has been having problems with accessing it lately. Ill update you if i find one later on.